Birthday Parties in Orlando - We bring the party to you! Thank you for your interest in celebrating your child’s special day with Julbilation! Choose from the following enriching and memorable party themes available for children ages 2-12. All parties are 1.5 hours and can be held at the location of your choice. All parties are based for 10-15 children and can be expanded. Arrrr matee… it’s time for ye to walk da plank… Your child will have the best time playing pirate games and finding buried treasure! (15) Pirate Hats, Plastic Table Covers (Pirate themed), and Solid colored plates, forks, cups. Especially designed for children ages 2-5 years, this party will give kids several activity stations to explore. 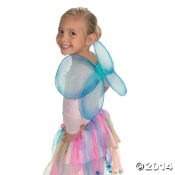 This party will give your child and their friends a very special day to remember. (15) Solid colored goodie bags with take home items like pencils, tattoos, etc. 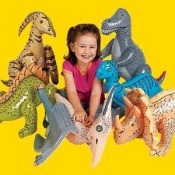 Start the party with dino face painting and then decorate dino placemats before lunch. After we eat, we’ll explore and go on a scavenger hunt to find a T-Rex. Spend your special day with your princess while she is having fun with her friends! Every party starts with dress up and pictures. Princess Cake with Birthday girl’s name on it. Splish, Splash, we are having some fun at this party! It’s the perfect summer time party for your child to have a blast with their friends! 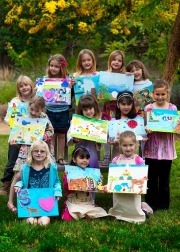 Art themed birthday parties are an enriching way to keep your party guests busy while they have fun! Customized Birthday parties are available! Julbilation can arrange the food for your birthday party. We offer a variety of food and beverage options that will fit your budget and dietary needs. Smash cakes for 1st birthdays are also available. We can also add dessert stations, slushee machines, favor bars, hot dog carts, food trucks, and other creative food and beverage options. Want a great favor for everyone to take home? Julbilaton can provide a multitude of themed open-air photo booth options that include kids dress up clothes and printed 4x6 photos for your guests including an attendant to run this station. Looking to make a big splash for your child’s birthday party? Julbiltion can provide balloon arches, centerpieces, favor bars, and other creative ideas to make your party pop! Add something extra to your party with a face painter, balloon artist, ponies, clowns, bounce houses, and more exciting entertainment options. You sit back and Julbilation will plan the birthday party of your dreams! Are you constantly running but still want your child’s birthday to be amazing? Let Julbilation help we will create and send your invitations, order all the food and snacks, plan a custom themed birthday, and setup/book your venue (if needed)!